16x20 on Standard Gallery Wrapped 3/4" width profile canvas (1.5" width profile also available for an additional fee). It's a Girl! 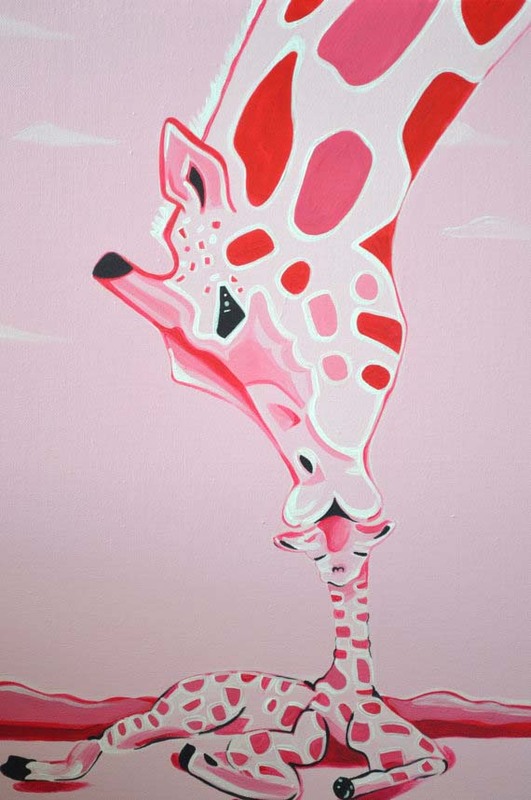 "Mommy and Baby Giraffe" Pink or can be customized in any color! Gallery wrapped canvas perfect for your child's nursery.Can be personalized with name and baby stats.